Officials were strongly admonished to strictly follow financial laws, and to follow up on wrongdoing, in a guideline released on Wednesday by the Supreme People's Court, the Supreme People's Procuratorate and the Ministry of Public Security. They were also reminded that failure to enforce the law could bring punishment. Xian Jie, deputy director at the SPP's law and policy research department, said illegal fundraising activities have continued to grow in recent years, as has the amount of money involved. Online transactions are a common channel for crimes, as they may masquerade as emerging financial services, such as peer-to-peer lending, wealth management, private equity or virtual currency. Jiang Yongyi, a judge from the Supreme People's Court, said the recovery of funds and disposal of assets are the biggest challenges in the complex world of finance, especially with the rise of online transactions. "The number of illegal fundraising participants and the amount of funds involved tend to be huge," Jiang said. "Many cases are only exposed when the flow of capital is broken, which often comes too late and makes it difficult to recover the money." Wednesday's guideline helps make clear the scope of recovery efforts and how to deal with the funds that have been seized, confiscated or frozen. It also clarifies the jobs of different departments, including money transfers, collection, liquidation and refunds, to ensure maximum asset recovery and minimum loss, he said. The guideline defines illegal fundraising based on State financial management laws and regulations issued by financial departments such as the People's Bank of China and China Securities Regulatory Commission. 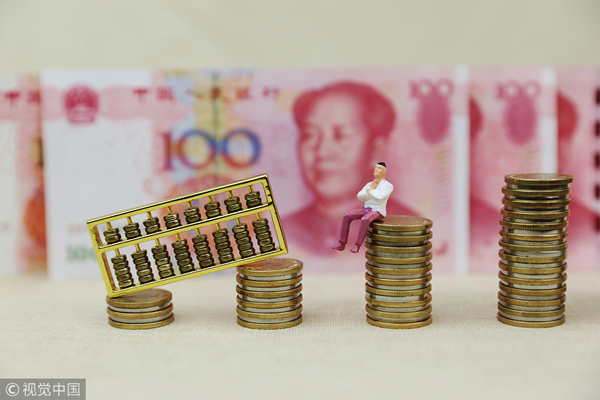 It provides a legal reference for authorities to distinguish illegal fundraising from digital finance innovation on peer-to-peer lending platforms, he said. Officials will face criminal charges if they are found to have condoned illegal fundraising; if they are negligent, malfeasant or abuse their power in the course of investigating cases; or if they fail to handle or report individuals or organizations suspected of illegal fundraising to judicial authorities in a timely manner, the guideline said. It also clarifies the legal responsibilities of officials. In addressing key issues in handling illegal fundraising cases, the guideline is "highly instructive, practical and applicable", the SPP's Xian said. "It supports judicial authorities in targeting crimes accurately and effectively, fends off financial risks in a timely manner and raises the public's legal awareness." China has ramped up its crackdown on illegal financial transactions in recent years and has pushed forward rules to better monitor and manage risks, including crimes that severely damage market order or people's interests and economic security. The rapid development of the internet and communication technologies has enabled criminals to expand and collect funds easier and faster, and continuously come up with new methods of fraud, which makes cracking down on such crimes more difficult, Xian said. The guideline is adapted to these characteristics and aims to provide solutions to better carry out investigations, she added.